Winner of the elite AAA Four Diamond award, The IP Casino Resort Spa is the Gulf Coast's premier entertainment resort destination. 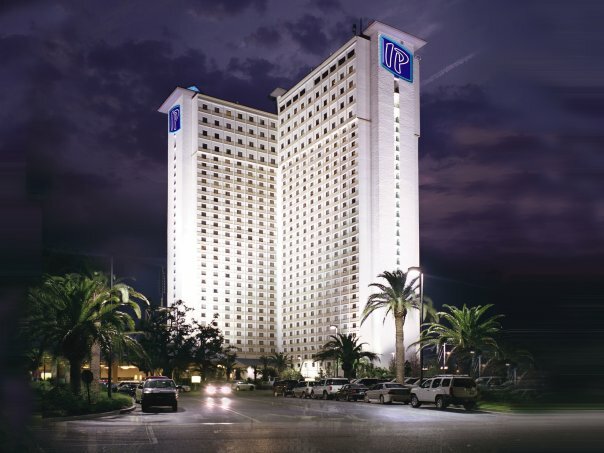 Towering 32 stories over the scenic Back Bay of Biloxi, the IP is home to more than 1,000 elegantly appointed hotel rooms and suites with full amenities. IP Casino Resort Spa features a vast array of live entertainment options, great restaurants, and a first-class spa to indulge your senses. IP also offers specialized golf packages to the Coast's premier golf courses. Enjoy an unforgettable gaming experience in the IP's 70,000-square-foot casino. With more than 1,600 slots, 60 table games and a 13 table non-smoking poker room, you're sure to find the game you're looking for. So be sure to get in on the action - you might find yourself our next big winner! IP's High Limit offers an elegant and exclusive gaming experience. The IP offers a first-class menu, private bar and restroom facilities, and more than 75 slots and video poker machines, including Quarter Multi-Line, Video Poker starting at $5, and $1 to $5 Multi-Hand Poker. If you prefer the tables, the IP offers eight high-limit games, including three double-deck tables. Senses Spa and Salon will take you on a journey far beyond your expectations.